Associate Principal Oboe Peter Smith is now in his 25th year as a member of The Philadelphia Orchestra. He has played as Guest Principal Oboe with the Chicago Symphony in 2015 and with the Atlanta Symphony in 2007. He was also Principal Oboe with the Colorado Festival Orchestra in its 1991 season. A graduate of the Curtis Institute of Music, he studied with Richard Woodhams. He has also studied with Louis Rosenblatt. 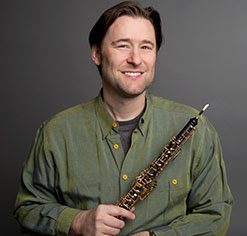 Mr. Smith was a soloist in The Philadelphia Orchestra’s performances of Mozart’s Sinfonia Concertante for winds and orchestra in 2010 at the Mann Center and at the Saratoga Performing Arts Center. He was featured with the Orchestra in its Absolutely Mozart Festival at the Kimmel Center from 2002 to 2004. He was also a soloist with the Orchestra in the summers of 1992, 1994, 2006, and 2014. Over the last two decades, Mr. Smith has been featured numerous times in The Philadelphia Orchestra’s Chamber Music Series. Since 1986, Mr. Smith has appeared as soloist with the Lower Merion Symphony, the Bucks County Symphony, the Newark (DE) Symphony, the Colorado Festival Orchestra, the Curtis Symphony Orchestra, the Camerata Classica, and the Chamber Orchestra of Philadelphia. He is currently on the faculty of Temple University, where he is a member of the Conwell Woodwind Quintet.